Best known for his monumental cuts, holes, apertures, and excisions to the facades of derelict homes and historic buildings in New York, New Jersey, Chicago, and abroad, Gordon Matta-Clark’s work conveys a potent critique of architecture's role vis-à-vis the capitalist system. Taking as a point of departure the pivotal series of “cuts” produced in the Bronx in the early 1970s that led to his further exploration of the city as a field of action, 'Gordon Matta-Clark: Anarchitect' will examine the artist’s pioneering social, relational, and activist approach. The exhibition highlights the political dialogue inherent in the artist’s artistic interventions—from his concern for the extreme plight of the homeless, his interest in direct community engagement, his belief that we should expand our lived experience of a city into its underground and other inaccessible spaces, and his commentary on development and socioeconomic stratification. 'Gordon Matta-Clark: Anarchitect' includes over 100 artworks by the artist, rarely seen materials from his archive, and immersive film projections. 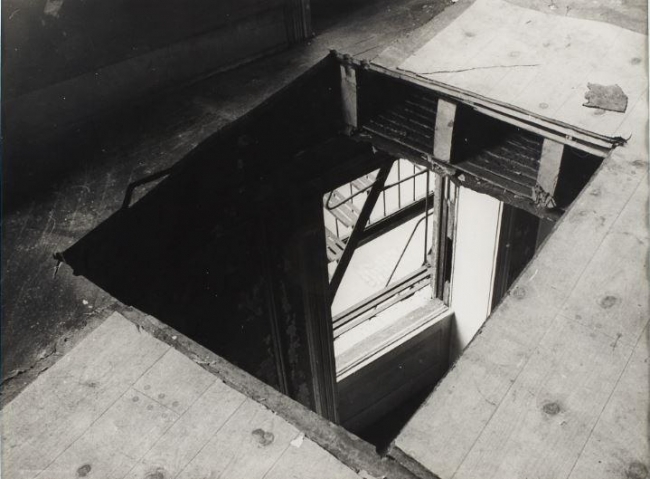 On view beginning November 2017, 'Gordon Matta-Clark: Anarchitect' is organized by Antonio Sergio Bessa, Bronx Museum Director of Curatorial and Education Programs; and Jessamyn Fiore, independent curator and co-director of the Matta-Clark Estate. Following the Bronx Museum presentation, the exhibition will travel to the Jeu de Paume in Paris, France, the Kumu Art Museum in Tallinn, Estonia and the Rose Art Museum, in Waltham, Massachusetts. 'Gordon Matta-Clark: Anarchitect' exhibition and catalogue are made possible by the Henry Luce Foundation, National Endowment for the Arts, Graham Foundation for Advanced Studies in the Fine Arts, Blue Rider Group at Morgan Stanley, David Zwirner, Estate of Gordon Matta-Clark, and Furthermore: a program of the J. M. Kaplan Fund.